So, a lot of people didn't love book one, and I can't blame them: it takes a long time to get going and you really have to push through the first half. Even I had a hard time getting into the story and bonding with the characters. 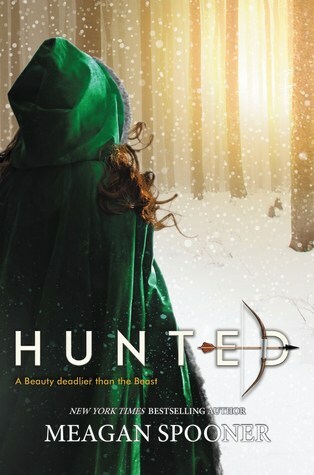 However, after finishing Three Dark Crowns and loving the last part of it, I knew that the second book was going to take the YA world by storm. Thankfully, I was right. 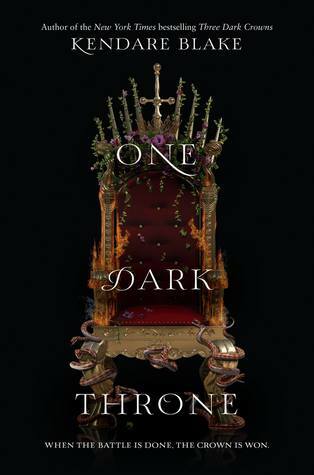 One Dark Throne takes the first book's momentum and just keeps rolling. Blake really cranks up the character development in this second novel, and I seriously couldn't help but fall in love with so many of the characters. Arsinoe, Jules, Joseph, Mirabella, Billy... I was cheering for them all, which is difficult when at least three of the main characters are destined to kill one another. Talk about conflicting alliances! The whole time I was torn between the different sets of characters. The writing has also improved. There's no long drawn out introduction; readers just jump straight into the chaos left in the aftermath of the first book's events. Prepare yourself for violence, emotion, and a complicated storyline that will keep you on the edge of your seat. Having just finished season seven of Game of Thrones, I was thrilled to find a fantasy novel that could fill my medieval drama hole. The question is, if I loved it so much, why not give it five stars? Sadly, the answer is that I was completely thrown off by the last FIVE PAGES. Yep, you read that right. The last five pages are what kept this book from being nearly perfect in my eyes. I'm going to explain why, but in white text so that I don't reveal any spoilers: What the actually flipping heck was that ending? I mean, seriously. Joseph DIES and Arsinoe is just like "But we made it!!!! So be happy!!!!" and then Jules just jumps in the water and leaves the best friend she's sworn to accompany and protect? It all just felt so inauthentic and rushed, even sloppy to some extent. No one is weeping over Joseph too much, which is completely stupid because Jules, Arsinoe, and Billy all love him. Heck, even Mirabella loves him in her own way! So can someone please explain to me why it felt like a little bump in the road, not some enormously devastating event?! Anyway, I really did immensely enjoy this sequel. It's action-packed and a real emotional rollercoaster, and I'm sure the third book will pack just as much of a punch. If you haven't given this unique fantasy series a try, I highly recommend that you do. Fighting through the slow beginning is totally worth it, and eventually, you'll be just as riveted as I was. The whole time, I just wanted my babies to stop hurting each other and for all of them to somehow live happily ever after. But obviously, that isn't possible. Hang on to your horses people because this is one wild ride. *I received this novel from the publisher in exchange for an honest review. All thoughts and opinions expressed are my own.